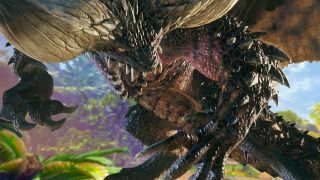 Following the release of Monster Hunter: World on PC last month, Capcom has stated that Steam sales have "exceeded the company’s expectations" in its full-year business forecast. The game's PC launch was eagerly anticipated, following its huge success on console, and didn't disappoint—James certainly rated it. Monster Hunter: World takes you to breathtaking locations and lets you hunt down monsters—the clue is in the title—through a variety of missions, all of which can be undertaken solo or with up to four other players. Even the grindy nature of the crafting system can be fun for some. We already knew Monster Hunter: World was enormous on PC, given how many people were playing it at launch, and hey, maybe Capcom will consider releasing whatever comes next in the series simultaneously with consoles.